Art, especially public art, improves the quality of our lives. It makes us ponder an issue or ask questions. It reflects the values and ideals of a community. It forces us to question our assumptions. 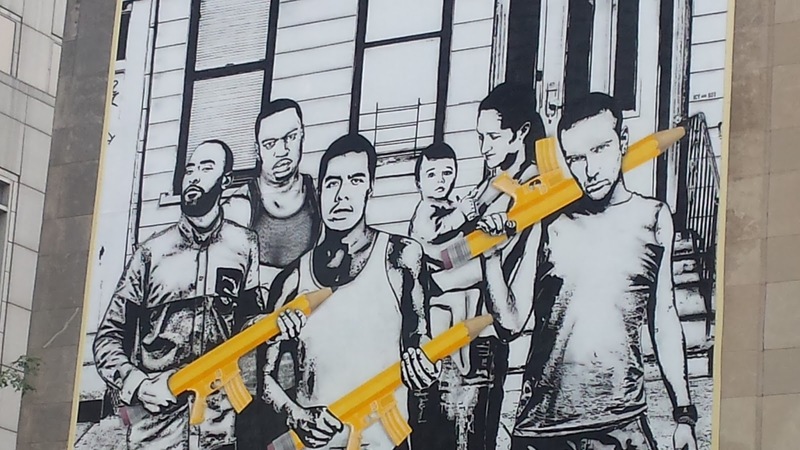 Public art reflects how a community views the world. And it is good for business. 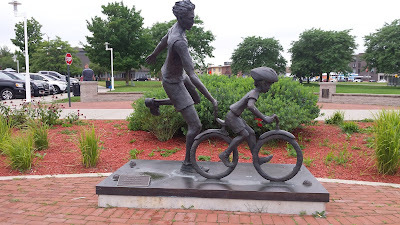 So I just returned from a short vacation and I noticed something - the amount of public art - sculptures, murals, water, landscaping - and how people react to it. It enhanced our visit. It revealed something about the town or area - their attitudes and aspirations - and it made us slow down to enjoy the world. And it was fun, informative, and provocative. Some pieces were quirky and some were majestic. I noticed people taking family photos in front of the art, people stopped to read plaques, and people talked about what some of the pieces meant. People sought it out. 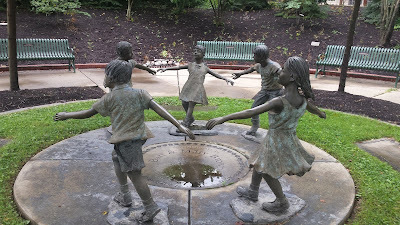 So when I came home I paid attention to what public art is in Fort Thomas - the sculpture of playing children in the the pocket park at Grand and Highland, the statue that sculptor Michael Skop created in the front yard of the family home, the student mural about water at Johnson school, sculpted pocket park gardens, a water feature on the plaza in front of the Methodist church, the clock tower in the central business district, and beautiful flowers adorning the boulevard through the center of town. But there is room for more. Sculpture at Grand and Highland in Fort Thomas. 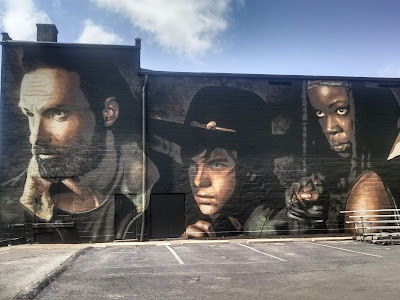 I stopped in Cynthiana on my way to Lexington a couple of weeks ago to see the Walking Dead mural created as part of a festival. The creator of the series still lives and works in the community. The event drew tens of thousands of people for a successful first time event. It's an arresting series of images that captures the essence of the characters. 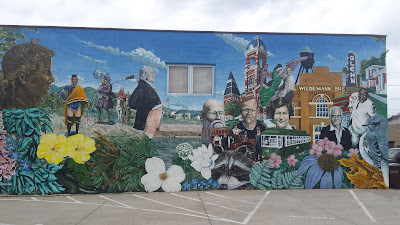 Mural on the wall of the opera house in Cynthiana. FTM file. 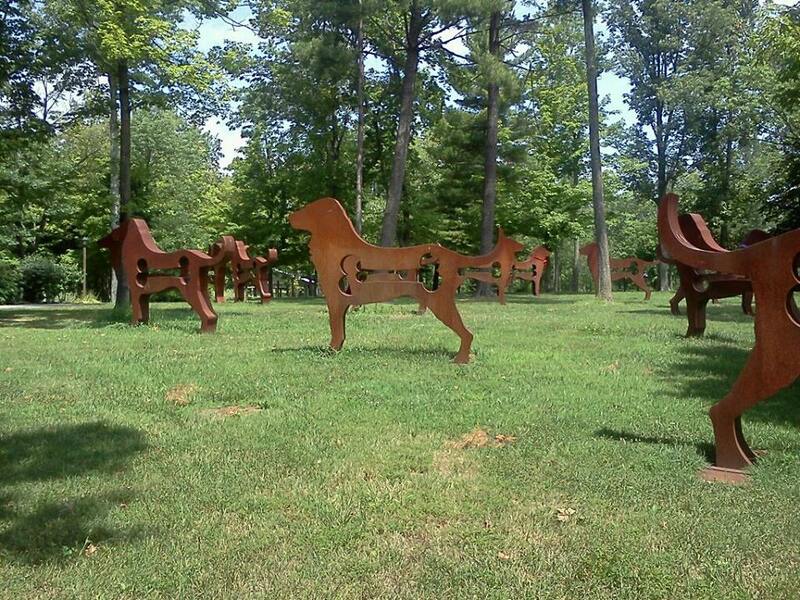 I like this piece from Traverse City, Michigan. It shows a parent teaching a child to cycle and captures the event at the point of release. The child is now free to roam independently thanks to parental instruction. What a wonderful public statement to make. 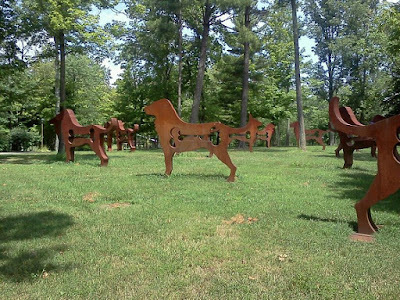 Sculpture in Traverse City, Michigan along city wide bike trail. FTM file. Art Works has produced dozens of murals in Cincinnati, Bellevue, and Newport. This one is in Newport on Monmouth St.
Monmouth St. Newport, Kentucky. FTM file. This is one of my current favorites. It’s a wonderfully provocative piece that hangs on the side of Christ Church on 4th Street, a community conscious church. Are these young men dangerous? Are they holding weapons? Is a yellow pencil a weapon? Is there something to fear? Is the fear real or imagined? What do these images symbolize? What is the message? Good art does that. Mural on Christ Church in downtown Cincinnati. FTM file. 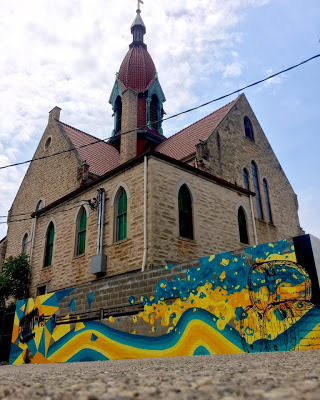 Fort Thomas Matters ran an article last week detailing the bold and colorful public art of talented local artist, Max Thomas. His work certainly contributes to the character of the business and adds colorful interest to the neighborhood. 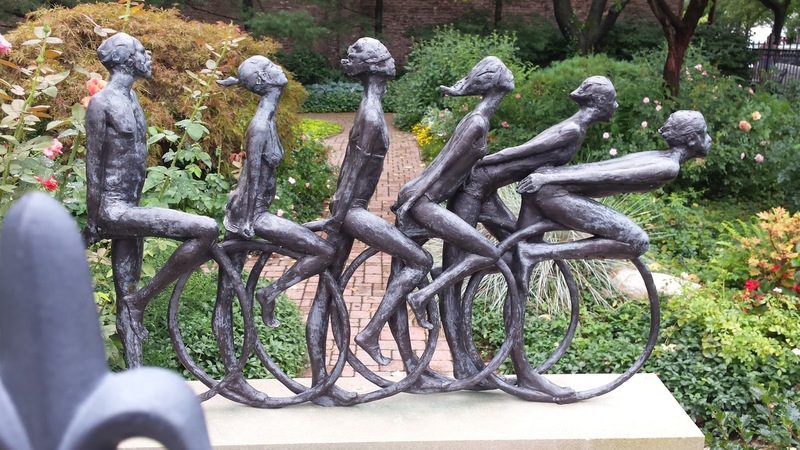 Public art provides a new way to experience a business or community. Max Thomas mural at the Urban Artifact craft brewery. FTM file. As much as art enriches our inner lives, it is also good for business. We generally dine nearby, buy a trinket or a t-shirt, or spend money while we enjoy the display and the area. Businesses bank on that. Public art is good for business. It often increases foot traffic which generates income. Think of how many art festivals (a la Summerfair) or street art festivals you have attended this year? Do you remember how people sought out all of the painted pigs (The Big Pig Gig and World Choir Games) and mustaches (All-Star Game) in Cincinnati? Pyramid Sculpture Park in Hamilton has a collection of fascinating large scale outdoor pieces. This is one of my favorite traveling installations. Not only are they destination points, but they also enrich their communities. Sculpture exhibit at Pyramid Hill Sculpture Park. FTM file. All of us visit museums, attend concerts, enjoy public sculptures and murals, play in the sculpted parks, and appreciate beautiful landscapes. We enjoy and often seek out interesting places in surrounding communities as well as places we travel. 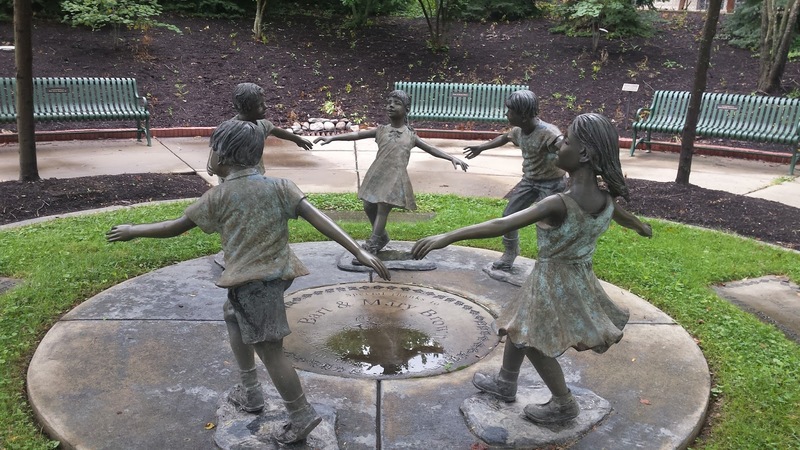 Many of these places include public art. So why not create a little magic here? Art - whether it is privately displayed in our homes or yards or whether it publicly appears as architecture, landscape design, sculpture, music, or whatever - enhances our lives. It makes us feel good, smile, and think. It can challenge, delight, educate, and illuminate us. Art elevates our existence. Any essay is just a small part of a much larger conversation so perhaps we, as a community, need to talk about how public art can enhance our life in Fort Thomas. We have spaces and places. After all, if we are going to live then let’s live artfully.